Has Someone Said the Unsayable Truth About the Roma? French Minister of the Interior, Manuel Valls. 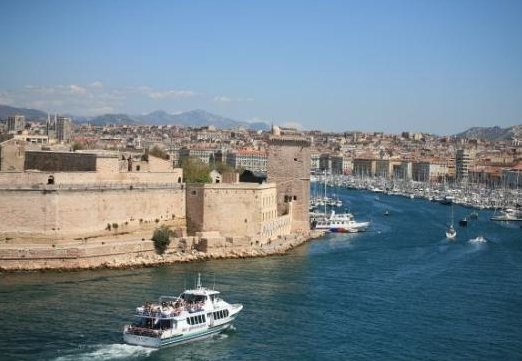 The comments set off fireworks of reactions, most notably from the Minister of Housing, Cécile Duflot (who is from France’s left-of-the-socialists Green Party). She accused Valls of betraying the “Republican Pact”. Those, in France, are fighting words—quite strong ones, the French equivalent of one senator accusing another of being un-American—and created a political stand-off between the two. Duflot is right, of course, on principle: it’s a terrible thing to stigmatize an entire ethnicity as being unwilling to assimilate, the kind of thing that was said about Jews, sixty years ago. In fact, if you replace “Roma” with any other ethnicity or race—Asian, Kurd, Arab, whatever—nobody would disagree that Vall’s statement was profoundly racist. 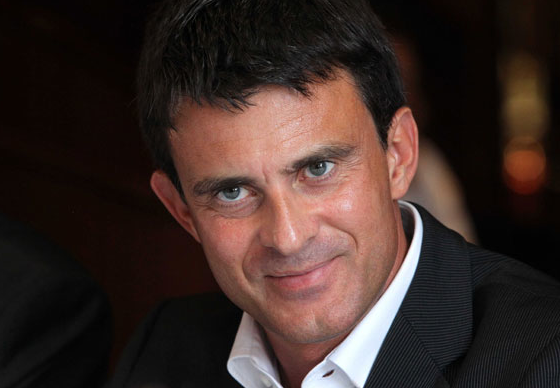 But the majority of French people tend—massively—to agree with…Valls. A poll this past weekend revealed that 77% of the French agree that the Roma would be better off going back to their countries of origin, and it’s not just France’s right-wing nationalists coming out of the woodwork to take advantage of a political opportunity: 98% of the French voters on the right agree, but so do 55% of voters on the left. Another poll yesterday simply asked who people thought was right, Valls or Duflot—and fully two-thirds of the French agree with the Minister of the Interior and just 28% with Duflot. I probably could have told you that without seeing any poll numbers at all. 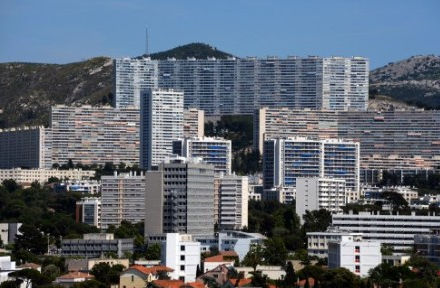 Here’s why, the unvarnished, politically incorrect reason why: if you live in Paris, or a number of other large French cities, in any neighborhood but the most exclusive, then you too live with the Roma—a lot of Roma. Thanks to European integration, Romania and Bulgaria, the country of origin of most Roma people, are part of Europe. Romanians and Bulgarians are free to circulate throughout the European Union and it is legal for them to live and work within most of the 28 member states. They do not need a visa. 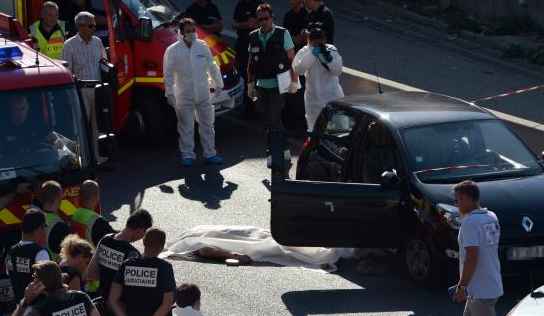 As a result, there are nearly 20,000 Roma in France, three-quarters of whom are concentrated in the greater Paris region, living in some 400 illegal encampments. 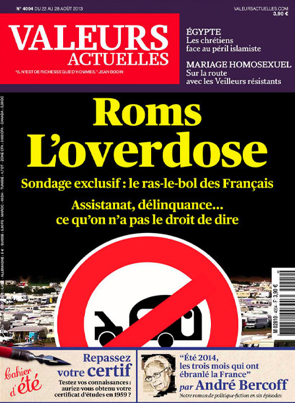 France does not allow any race or ethnicity based census-taking, but the Roma are involved in two main rackets: organized begging and prostitution. Both the beggars and the prostitutes tend to be women and children. Because they live in squalid, makeshift camps with no running water or electricity, and because they don’t have jobs or income, they also run organized rings of garbage-pickers. In one encampment, with its own makeshift mayor and security force, every family pays a Euro a day into the “municipal” kitty for access to the day’s scavenged food. There are vans that, every morning at dawn, drop off teenagers and women all over the city, in Paris’s dozens of arrondissements: some women settle onto a street corner to beg, others set out to pick over trash cans, and bands of teenagers, often including pregnant girls, rove about tourist areas with pens and pads of paper waiting to hit up some foreigners. Their lives, frankly, sound awful. 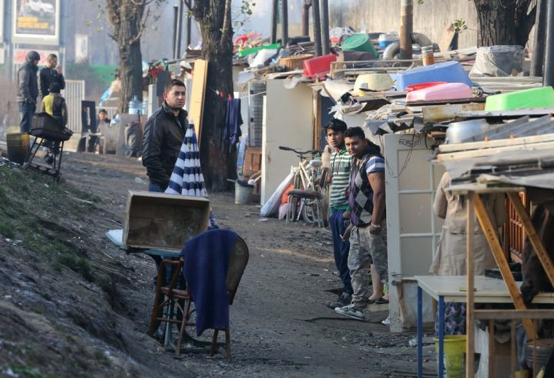 A Roma encampment in Paris’s 19th arrondissement. I live in a diverse, gentrifying neighbourhood of northern Paris, and my apartment happens to overlook a broad open green space, like a small public lawn. For over a year now, except during the winter’s coldest months, there has generally been a large family, or a big extended family, sometimes a whole gang of a several dozen Roma, camping out: mothers with babies, fathers, pregnant teenagers, multiple strollers, spreads of food, men lounging, even an old accordionist who all summer long, every day, from 6am to 6pm has played the same song. I either want to kill him or teach him to play another song. He’s there now. This summer for a while they’d dragged an old leather couch under a nearby scaffolding and hung out there when it rained. It stayed for weeks. I wouldn’t want to live on the street. It’s a terrible life. But frankly, I wished they didn’t live in my street. Who does want them to live on their street? What community wants to host their encampment? What city will offer them jobs, education, and healthcare? Roma are the thorny and taboo topic, the nuisance about which no one dares speak, now a part of everyday urban aggravation, a familiar and unwelcome feature of street-life, the unspoken target of everyone’s animosity, the legal and social problem to which no one on the left has dared offer a solution, and which the far-right has enthusiastically placed high up on their electoral agenda. In reality, Manuel Valls said in language that was tolerable to the left (“they don’t want to assimilate”…“best off returning to Romania”) exactly what the right said in language that made them sound friendly to the far-right National Front party (“enough, leave, go home”). And now that he’s said it, it’s made him even more popular: he has become his party’s favorite campaign trail accessory in France’s local election campaigns that are now going full swing. And that’s what’s so troubling—that most of the political spectrum, from the mainstream Socialists to the right to the far-right actually seem to agree. That should never happen. And when it does, it makes for a very ugly confusion of genres. Because eventually Valls will no longer be able to cloak his phrases in euphemistic suggestions of “better off”, he’ll probably have to speak a little more clearly about exactly what he means—and then what will he sound like?